Your Sportshirt T-Shirt design search is complete. Sportshirt T Shirt designs found. Item # Jerz440M Jerzees 440M/440Y. 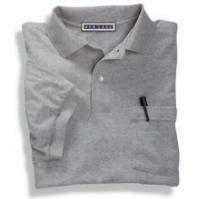 6.5 OZ., 100% combed cotton pique tubular sport shirt. Taped welt collar and welt cuffs. Two button Continental placket with horn buttons. Double-needle stitched hemmed bottom. Full cut. Youth label can be personalized. Item # Jerz437M Jerzees 437M/437Y. 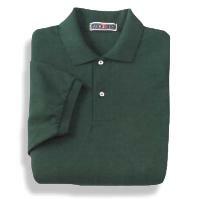 5.6 OZ., 50/50 jersey-knit tubular sport shirt. Taped welt collar and ribbed cuffs. Two button Continental placket with pearlized buttons. Double-needle stitched hemmed bottom. Full cut. Item # Jerz436MP Jerzees 436MP. 50/50 Sport Shirt with Pocket. 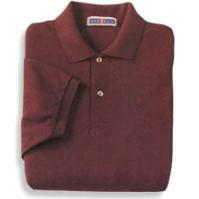 5.6 OZ., 50/50 jersey-knit tubular sport shirt with left chest pocket. Taped welt collar. Two button Continental placket with pearlized buttons. Double-needle stitched hemmed sleeves and bottom. Full cut. 3 Selections returned in current search.